Koalas have been killed in the Cape Otway area over 2013 and 2014, Victorian Environment Minister Lisa Neville confirmed. "The intervention was necessary to prevent suffering of koalas because they weren't able to find enough food. Population densities were reaching up to 20 koalas per hectare at Cape Otway," Neville stated, as cited by AFP. The minister added that she couldn’t rule out further killings, and was seeking advice on how to deal with the problem. "[The number of animals] continues to increase and that's why we need to have a look at a koala management strategy to see whether we can reduce that population growth which continues at a very fast pace," Neville also said. "The Australian government should hang its head in shame, for allowing a secret cull of koalas," the Koala Foundation said in a statement on its website. I was under the impression that koalas were endangered... "@STcom: Hundreds of #koalas killed in #Australiahttp://t.co/BzLYtt0hF8"
But it wasn't only Australians who took to social media to express their sadness and disbelief at the killings. The Russian Embassy said it sincerely hopes the cuddly animals, photographed with world leaders at the G20 summit in Brisbane last summer, are still alive. Post by Embassy of the Russian Federation to Australia. 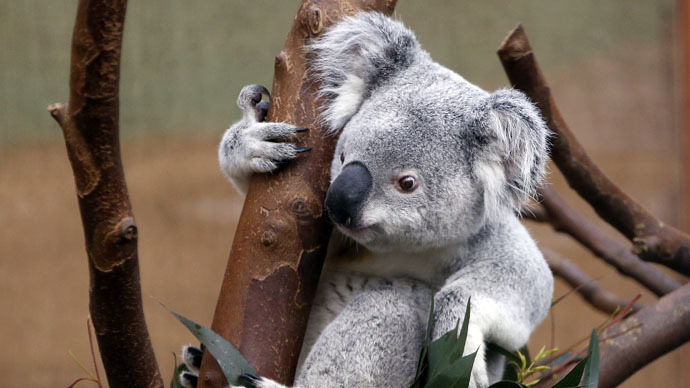 Moving koalas can prove quite difficult, even if their habitat becomes unsuitable. They get used to a place, and may die anyway at their new home. "Experience suggests that moving these koalas does not work and that can in fact cause even greater suffering," Neville told the Australian Broadcasting Corporation. Frank Fotinas, head of the Bimbi Park Caravan Park at Cape Otway, said the koalas were euthanized because many were sick or dying from starvation and natural causes. "The whole of the cape smelled of dead koalas. It smelled like death," he told the ABC. Fotinas added that the animals had stripped trees in search for food, and there are “hundreds of acres of dead trees” at the Cape. In 1788, before white settlers arrived, there are believed to have been about 10 million koalas in Australia, while now the Australian Koala Foundation says that there are fewer than 100,000.